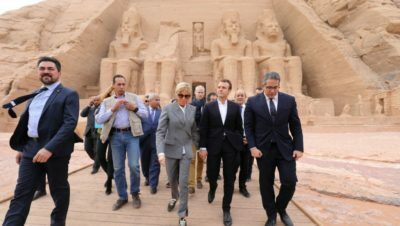 CAIRO - 29 January 2019: French President Emmanuel Macaron arrived at Abu Simbel airport, 280 kilometers south of Aswan province, accompanied by his wife, Brigitte Macron, on Macron's first visit to Egypt after taking office as president of France in 2017. 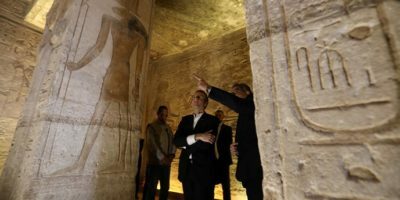 The French President visited the temples of Ramses II and Nefertari on the sidelines of the celebration of the 50th anniversary of the transfer of the temple from its old place to its new location. 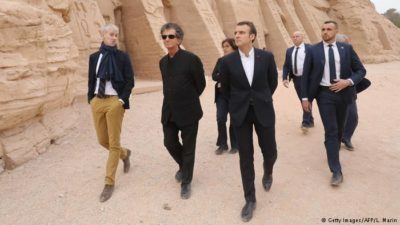 Marcon and the French first lady were greeted by General Ahmed Ibrahim, the governor of Aswan, and the executive, security and archeological leaders. 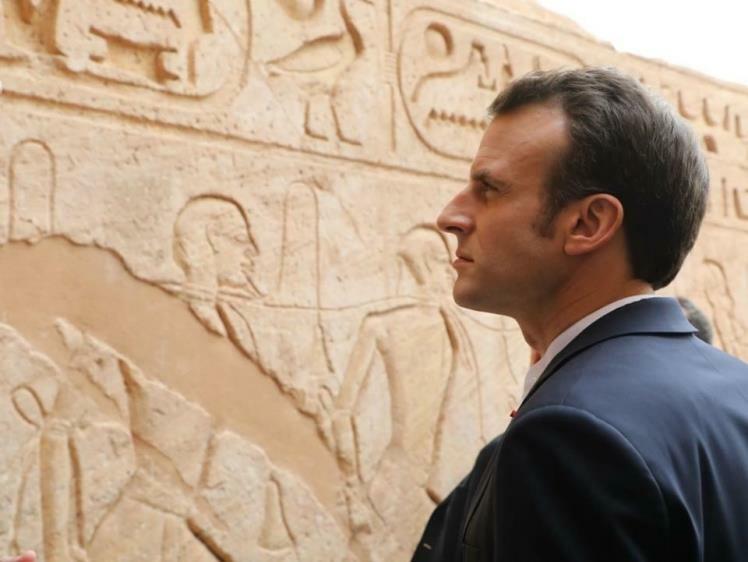 Macron's visit to Egypt was on ground of strengthening and enhancing the cooperation between Egypt and France in the field of investments and reviewing the agreements and memoranda to be signed by the French side. 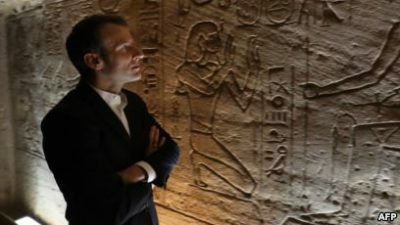 The French President's visit to Egypt comes within the framework of the activities of the French-Egyptian Cultural Year in 2019, which marks the 150th anniversary of the inauguration of the Suez Canal.